Are you involved in designing, documenting, managing or auditing processes? 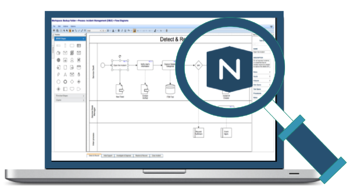 If so, you should take the time to check out a 30 minute demo of the Navvia Process Designer. Navvia is the easiest and most cost-effective way to Assess, Design, Document, Share and Govern processes! Navvia has the features you need to collaboratively build & share process documentation across your entire organization while providing a platform for governance and continual improvement. Register now to view an on-demand demo! © 2019 Navvia, division of Consulting-Portal Inc.